A Korean photographer creating surrealist art out of longing. Surrealist photographer KangHee Kim is one of the eight people we're watching in 2019. Click here to see our full list, and buy a print copy of The Now Issue here. KangHee Kim feels stuck. It’s not a temporary, can’t-get-out-of-a-midweek-funk stuck or even an existential, larger-than-life stuck, but a real, lived, daily stuck. Kim is one of about 670,000 DACA recipients whose immigration status is in limbo and, as such, she can’t leave the United States if she wants to return. So she lives in New York City dreaming of other places, which inspired her photography series Street Errands. Kim Photoshops dreamy tropical scenery like palm trees and pinkwashed clouds into typically grimy New York images of subways and scaffolding. The effect is surreal, soothing, and painterly. Here KangHee, 27, tells the story of how she transformed boredom with typical street photography into her very first solo museum show. 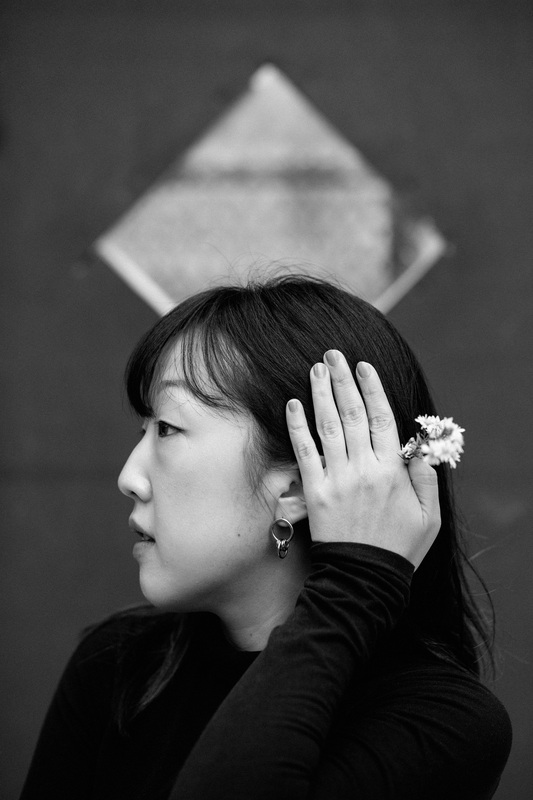 KANGHEE KIM: I was born in Seoul, South Korea, and I moved with my mom and brother to Great Neck, Long Island, when I was 14. I had always been interested in art, even when I was in Korea, and I initially wanted to be an industrial designer. But the Korean educational system is organized in a way that if you wanted to study art, you had to make that decision really young, so I kind of suppressed my dream of becoming an artist. But ever since I moved here, it was very free. I pursued art and studied painting at the Maryland Institute College of Art. I love painting, but I don’t love the fact that you have to be alone in the studio all the time. While I was in college, I took a few black-and-white photography classes, and my brother, who’s also a painter, introduced me to Instagram. I started playing around with my iPhone camera and photographing interesting or funny things that I found on the street. When I graduated, I worked for VSCO. Originally, I was supposed to get a green card within a year of moving here because my mom immigrated through a special program for international nurses. But my lawyer missed the application deadline by one day and soon after, President Obama closed that program. Thankfully, I was rescued by DACA, and that’s how I’ve been able to stay and work in the States. But I can’t leave. That inspired my photo project Street Errands, which I started in 2016. I have two big folders of archives. One that I take around New York City, where I’ve lived since graduating, while I’m just doing errands. The second I take while I’m traveling to places around the United States like San Francisco, Los Angeles, Colorado, Portland, and Hawaii — that’s the furthest I can go. For the project, I look over those two folders and mix and match. Because I studied painting, I use the camera and Photoshop in a more painterly way; I think it’s easier for me to break the rules because I don’t really have a grounded foundation in photography. So I’ll take a photo of a subway, for example, and switch the view outside the window so that it’s something tropical. I feel really frustrated and pretty hopeless because of my visa status, but this is a kind of therapeutic process because it’s making impossible things possible for me, beyond the limits and restraints of my real life. Also, I was tired of waiting for the right moment to photograph all the time. In a way, I feel a little bit bored in daily settings, so I wanted to find interesting moments, turning the mundane into something extraordinary so that I can feel like I’m traveling in a new space. It’s like utopia for me. Since I started the project, I’ve published a book of the series and I’m working on a second. I’ve also been able to work as a full-time freelance photographer, which was big for me. In May, I had my first museum show at the D Museum in Korea. I’m really glad that it happened in Korea, but I’m also bummed because I couldn’t go. I think I’m going to keep working on this series until I get my green card or until I get my visa fixed. It’s funny, but I started this project because of my visa status, and I think I’m more appreciative of what I have now because of it. I try to not really complain or be too self-pitying. It’s hard, but it’s the best I can do. All I can do is wait.